Open House Saturday and Sunday from 1-3. 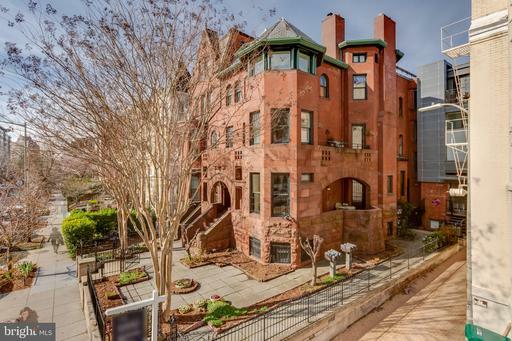 This c. 1885 DuPont Circle duplex penthouse offers 2 bedrooms, both with en-suite bathrooms, a 500+ SF terrace that walks out off of the living room and a coveted garage parking space. 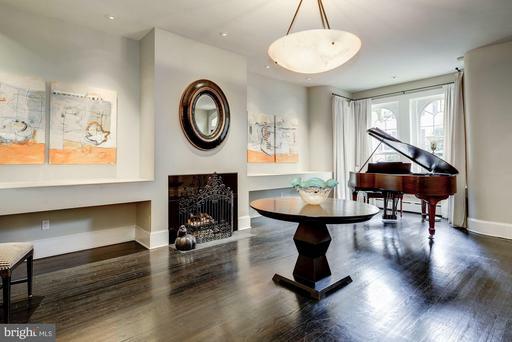 With over 1200 generous square feet this home is perfect for entertaining! Youll find period detail, sky-high ceilings flooding the open plan living area with natural light, a fireplace and window seat for that afternoon nap! 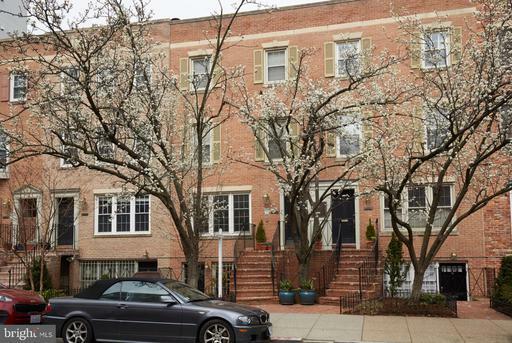 Perfectly located on one of the most beautiful streets in the city, within walking distance to restaurants, grocery stores, fitness, and transportation, this home has it all! Sleek and stylish, yet incredibly warm and welcoming, this dynamic Dupont one bedroom, one bath simply shines! A sprawling and sun-splashed open concept living and dining area offers excellent space for entertaining or for just plain lounging at home. A beautiful wood burning fireplace encourages such gatherings and sets a tranquil tone. A freshly updated kitchen boasts bountiful cabinet and granite counter space, brand new stainless appliances, marble backsplash and super chic lighting. The bathroom has just been refreshed, too, with new gleaming mosaic marble flooring. The sensationally spacious bedroom affords divine privacy, perfect space for a home office and an excellent closet. 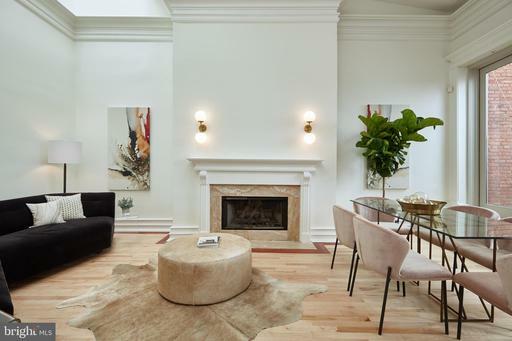 Polished wood floors and wonderfully detailed moldings punctuate this handsome home throughout and add a serious sense of elegance and quality to the overall finish. A new washer and dryer are conveniently located just outside of the kitchen, as is a most excellent, oversized and incredibly useful storage closet. 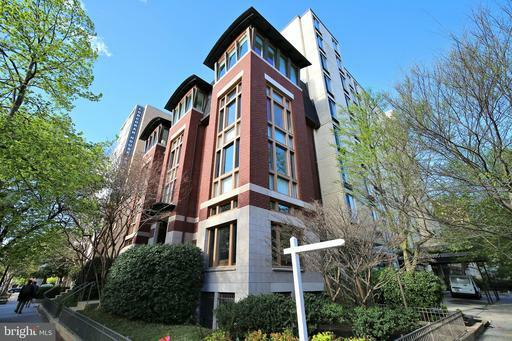 A private parking space sits just outside the building~s back door and makes life in this bustling and supremely sought after location so much easier. Speaking of location, it doesn~t get much better than this! 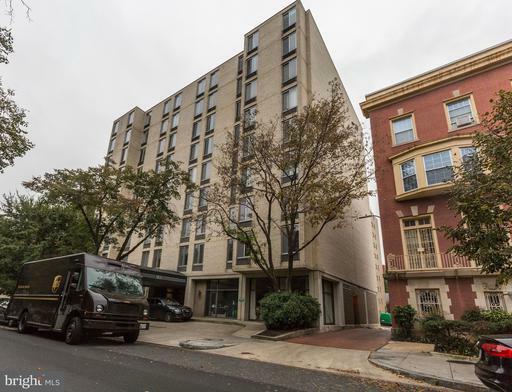 1753 Q is within a stone~s throw of Dupont Circle, nearby Logan Circle, Metro, Whole Foods, coffee shops and some of DC~s most highly prized dining establishments and watering holes. Live beautifully, both inside and out! 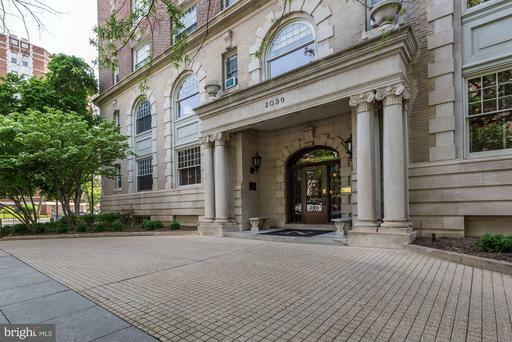 Rarely available Corcoran Walk condo in the heart of Dupont Circle! 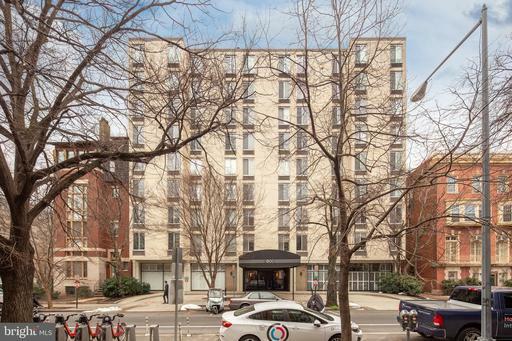 This updated unit combines its premium location with abundant amenities including a separate entrance, private patio, assigned parking space, private storage unit, and bike storage. Walk Score 98! 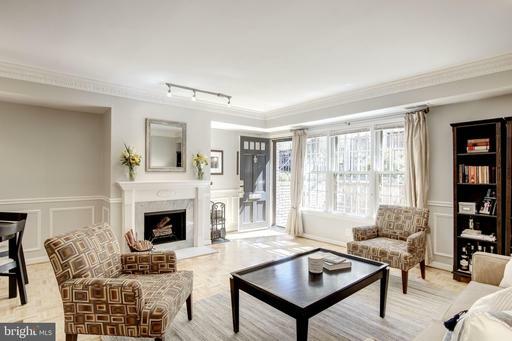 The spacious and open living space with original hardwood floors and custom wainscotting is filled with natural light and warmed by the wood-burning fireplace. The adjacent updated kitchen features a smart new layout, stainless steel appliances with hidden dishwasher, Silestone counter tops, custom Wood-Mode cabinets, raised ceiling, abundant lighting, and a breakfast bar. The large bedroom features two expansive closets and new fully insulated, double paned Pella sliding doors to the private patio, your own oasis in the city. 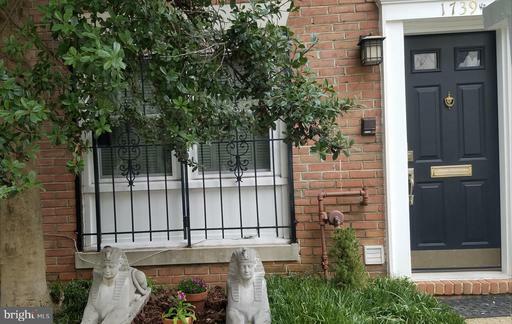 Direct access to parking from the private patio. Creative redesign of the units walk-in laundry room allows for Bosch washer and dryer, plus additional coveted storage and pantry space. 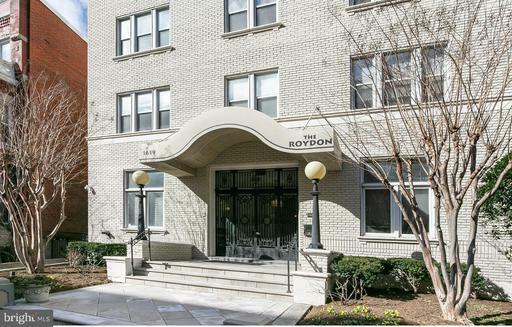 Pet friendly building w/ unusually low condo fees. 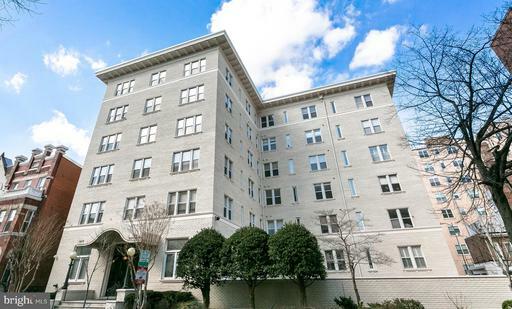 Situated on one of the most popular and tree-lined streets in Dupont, you will find The Stacey Condominium. 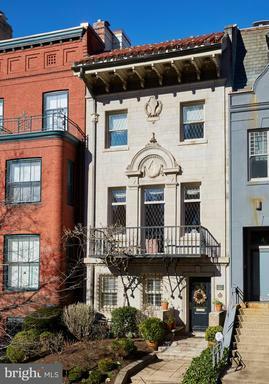 This stately 1908 bay-front Victorian is a four-unit, pet-friendly condominium providing owners the perfect combination of location, value and comfort. Featuring a private entrance, two levels, washer/dryer in unit and central air Unit One lives like a house. The open feeling of the home comes from the bay window that provides natural light throughout and has a unique two-story opening. On the main level, the wood burning fireplace with decorative mantel captures center stage and becomes the focal point especially when it blazes during autumn chills and winter snows. The kitchen is open to the living room and features stainless KitchenAid appliances, granite counters and maple cabinets. Tucked into a corner is a discreet powder room, which is ideal for guests. 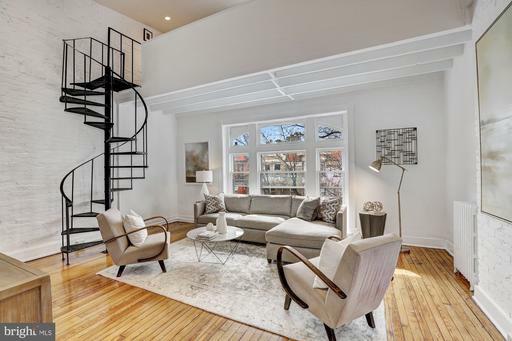 The spiral staircase is surrounded by large windows to allow in the bright natural light from the northern exposure. The sunny bedroom is a relaxing oasis complete with an updated, marble en-suite bathroom with oversized vanity and walk-in closet. The Stacey Condominiums~ location simply cannot be beat. 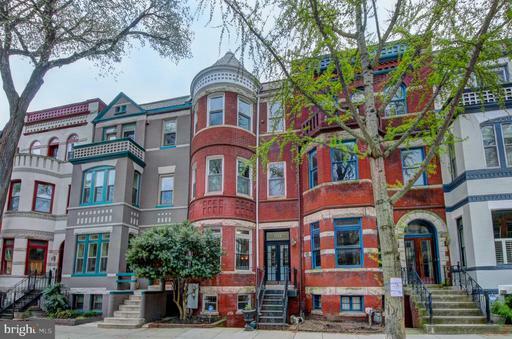 It has a Walk Score of 97 ~Walker~s Paradise!~, and is located just a few blocks from Dupont Circle and the Metro itself, Whole Foods, Trader Joes, Safeway, shops, restaurants, and cafes. 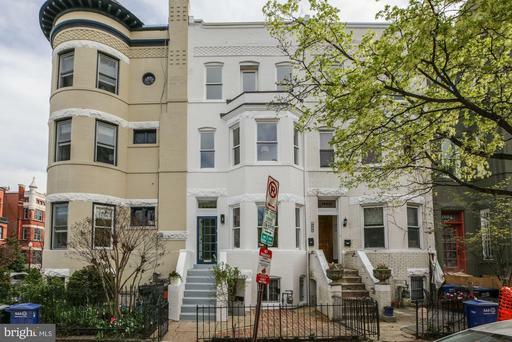 Plus, it~s just a few blocks from U Street, the 14th Street corridor, and easy walking distance to downtown and many other neighborhoods. Car sharing services Zipcar, Car2Go, etc., Capital Bikeshare, and multiple bus lines are also close by. 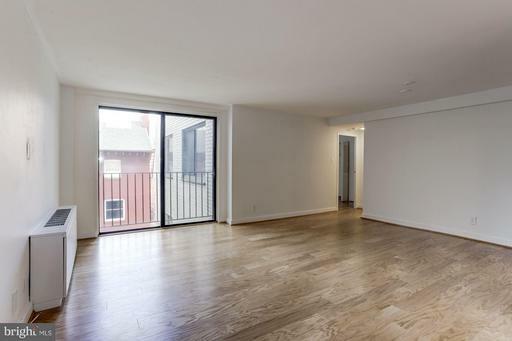 Spacious, bright and well-located 1 bedroom with high ceilings, over-sized windows and an open layout. Granite counters, SS appliances, hardwood floors, designer lighting and an upgraded bath make this home a true gem at an unbeatable value. 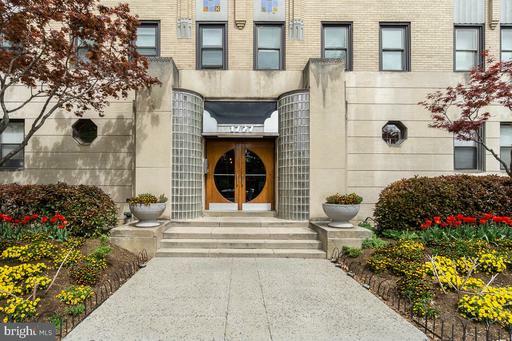 Boutique building, amazing location close to fantastic shopping, dining and public transportation. Take peak before its gone! 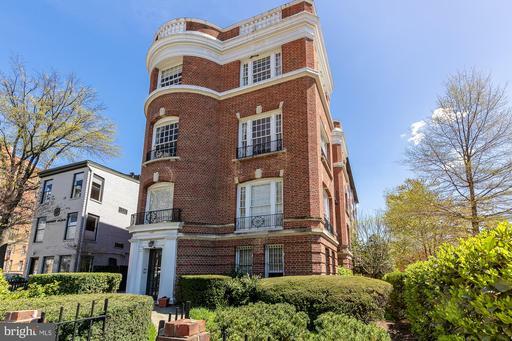 If yours is the artsy, creative vibe, this sweet Dupont pied-a-terre could be the one! 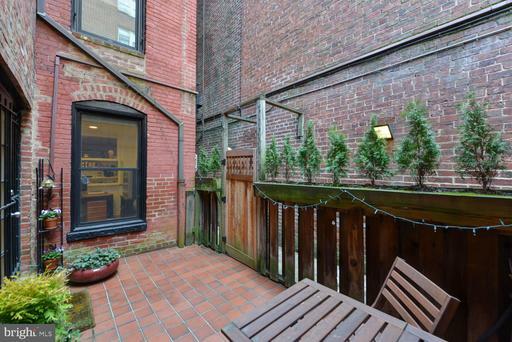 From the moment you enter this gorgeous townhouse-style 1 bedroom, you~ll realize you~ve happened upon something special. After shopping at the Dupont farmers~ market, roll your bike straight in, through the private entrance to your spacious above ground! patio. 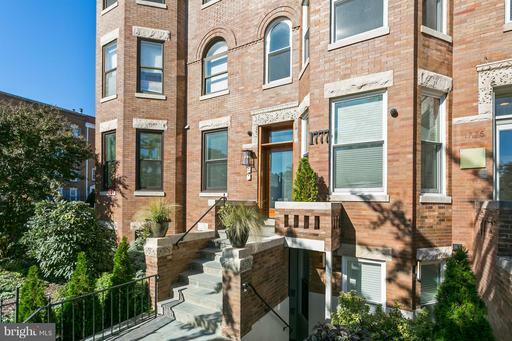 The boho ceramic tile floor and renovated kitchen greet you - unpack the groceries and pop open a drink to enjoy with a book outside or, go on up to the shared roof deck!. 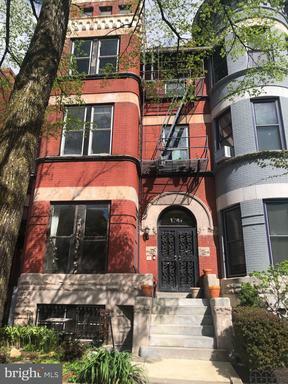 The living room and bedroom are spacious with good storage, hardwood parquet floors, and there~s an in-unit washer/dryer, central A/C, and dual-entry bath! Kramerbooks, Teaism, Dupont~s art scene, shopping, Rock Creek, and the METRO are all just blocks away. INVESTOR AND PET FRIENDLY! Open Sunday, 3/31, 1-4. OFFERS DUE TUES 11 AM. Open house March 3rd 2-4pm! 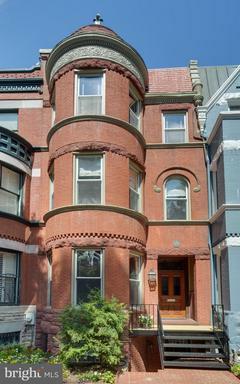 Renovated, light-filled co-op in pre-war building located in trendy Dupont Circle. 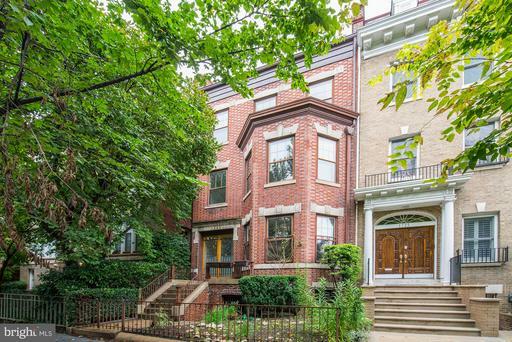 All the amenities of Dupont Circle, Logan Circle and U Street are mere steps away. Walk to Vida Fitness, Trader Joe~s, dog park, 2 Metro stations, and abundant dining options. 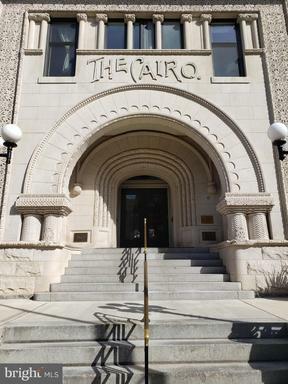 Pet friendly building with extra storage space, on-site laundry, elevator plus fees include heat and property taxes.